So it is still ridiculously cold out and there is more snow. Blah. My running has been sub par. I did get in 51 miles last week but that didn't really include a long run. Then my hip started bothering me so I knew the best way to make it better quickly and not worse would be to not run. I find this very irritating. I ran a whopping 19 miles this week and did a bunch of foam rolling and some cycling which didn't bother my hip at all. I think it worked. I ran 3 miles yesterday pain free but we are stuck in the house again today so looks like another day off. No good. Gretchen rolling out her IT band. Stopped at Target on way home yesterday before the snow hit. We needed a giant tub of PB filled pretzels to get us through. 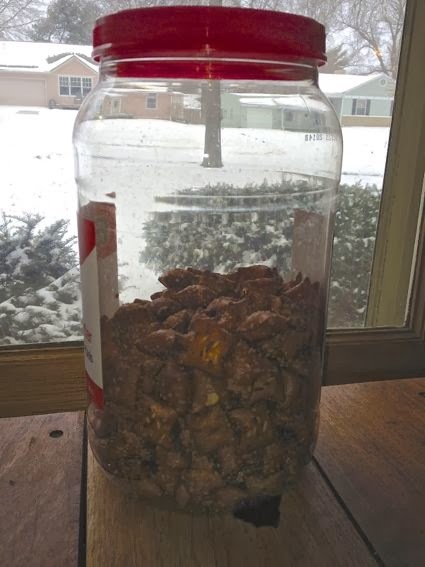 Gretchen and I were able to eat half the container in a 12 hour time period. 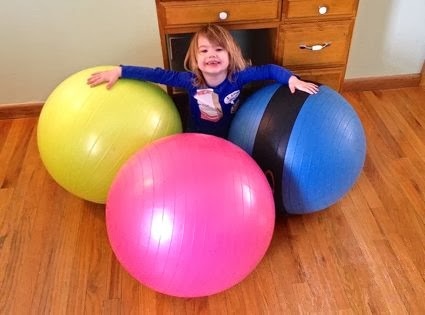 Thinking of turning living room into giant ball pit. We went outside for like 15 minutes. 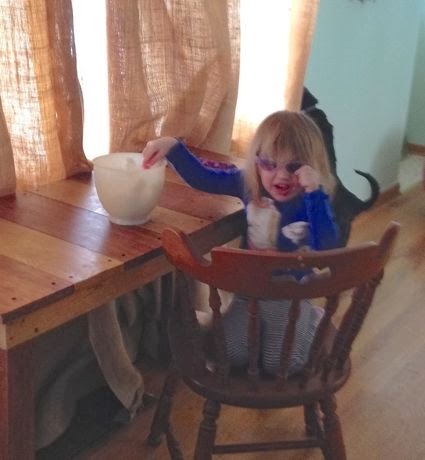 She picked up a bowl of snow to chow down on. 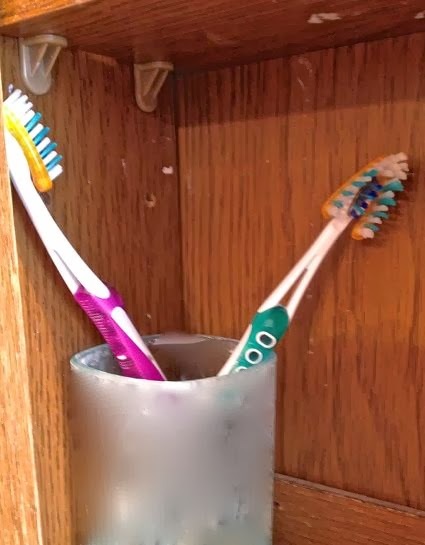 I was told one of these toothbrushes fell in the trashcan but she was iffy on which one. They are both in the trash now. Your house looks like a lot more fun than mine! I hope your hip is better. 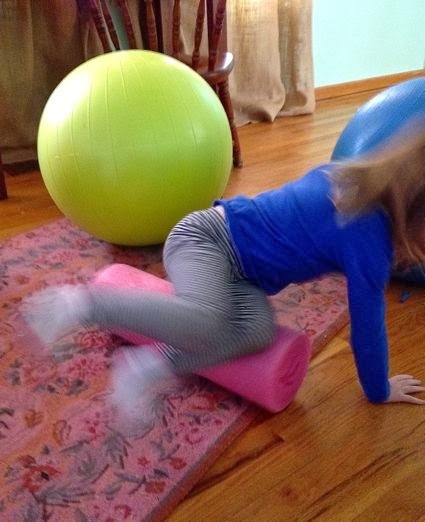 I did a tough workout Friday night then a 10 mile run yesterday and today I'm having trouble walking… hitting the foam roller hard. I think it is supposed to be a little warmer but that's not saying much.